If you’re planning a holiday to Ibiza, you can’t miss a day trip to the beautiful island of Formentera. Located just a 30-minute boat ride from Ibiza Town, Formentera is a beach lover’s paradise where long stretches of white sand slope into crystal clear water that sparkles in heavenly shades of blue. One day is hardly going to feel like enough, so here’s how to get the most out of your time here! Formentera doesn’t have its own airport; even those staying on Formentera fly into Ibiza Airport and then get a ferry across to the island. Ferries depart from the port in Ibiza Town and crossings are very regular; in summer departures are every 30 minutes throughout the day. Balearia and Trasmapi are the two companies that run ferry services to Formentera – prices vary depending on time of year but you’ll pay a similar amount regardless of which company you use. If you’re not sure which day you’re going to visit, it’s easy to go to the ticket desk at Ibiza Port and buy tickets on the spot. 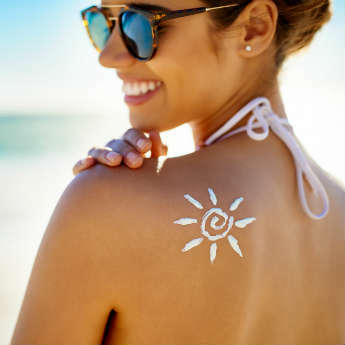 However the ferries get busy during peak season and you can often get discounts for booking online in advance, so you may find it useful to book ahead, particularly if you’re travelling in summer. Formentera has a tourist bus service that takes visitors around to the best spots – a perfect option for a varied and stress-free trip around the island. 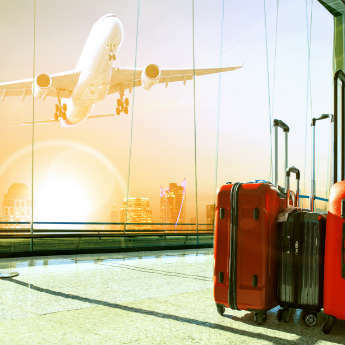 There are 3 routes to choose from costing 8€, 12€ and 15€ - you can select the one that’s right for you based on how much time you have and what you want to cover. If you have time it’s worth going for the 15€ option – this will get you visits to 2 beaches and photo stops at 2 viewpoints. The latest departure for a tourist bus tour is 13.15, so arrive in the morning if you’re planning on using this service! You’ll find the ticket stand inside the Formentera ferry terminal, or look out for reps around the port. There are 2 public bus services that run from the port, L1 and L2, that can easily be used to reach the beaches. The public buses are much cheaper and go to many of the same beaches as the tourist bus, but bear in mind that the stops may be further away from the actual beach and that you won’t be able to reach the two viewpoints included in the 15€ tour. The bus stop for the L1 and L2 buses are right outside the ferry terminal. Ticket prices range from 1,80-2,55€ depending on how far you’re going, or you can buy a day ticket for 10€. 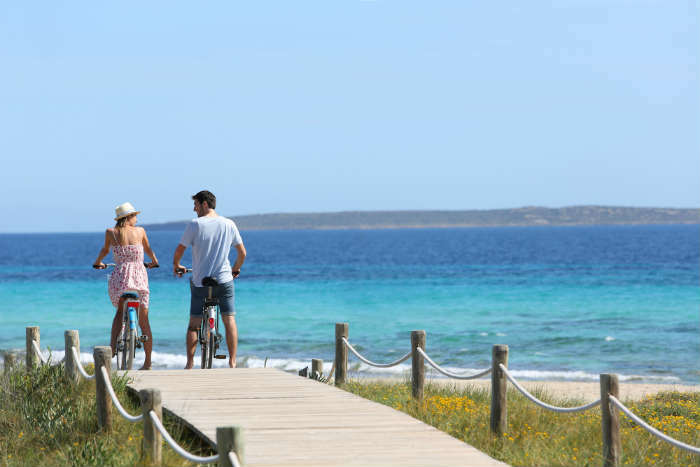 Formentera is an ideal place to explore by bike – the island is small, fairly flat, and there’s basically just one main road so it’s impossible to get lost. When you reach the port you’ll find a number of shops advertising pedal bike and moped rental, so you’ll be able to shop around and get the best price. 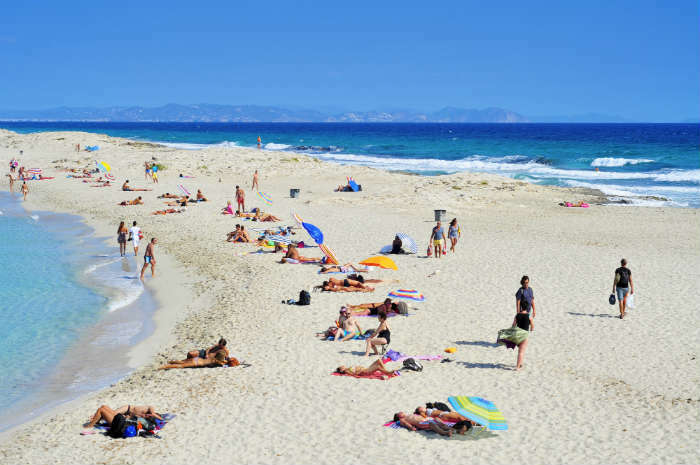 Playa de Ses Illetes is hailed by many as one of the best beaches in Europe, so it would be rude not to stop by! Consisting of just a stretch of sand and a few wooden beach bars, Playa de Ses Illetes has a real ‘deserted island’ feel to it, despite being a popular stop on the tourist bus route. If you take the public bus you can get off at Ses Salines and walk, but it will take you a good half hour. If you have time, it’s worth stopping by the amazing salt plains at Ses Salines. A UNESCO World Heritage Site, the wetland acts as a habitat for over 200 species of migrating birds, and boasts spectacular scenery, especially when the water takes on a pink shade due to microorganisms in the water. Get on the L1 or L2 bus from the port and Ses Salines is the first stop. 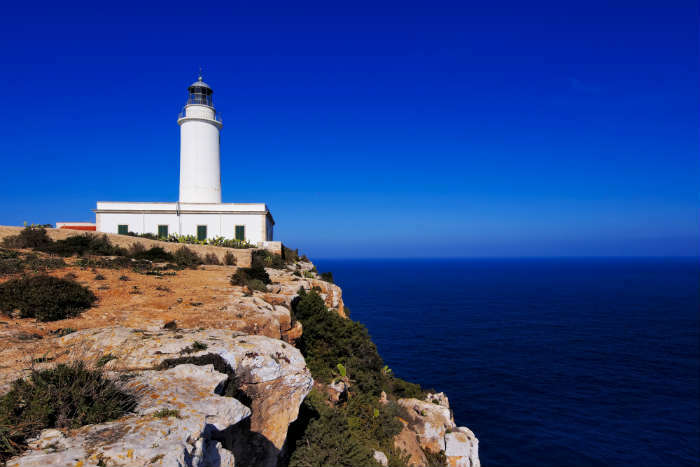 Faro de la Mola is the highest point on Formentera, which means there are amazing views of the island to be had from the top of the hill. The tour bus stops here for visitors to take photos, but the spot also offers great sunrise and sunset views if you can get there for them. Look out for the blue-green lizards that scuttle out of the bushes to say hi!